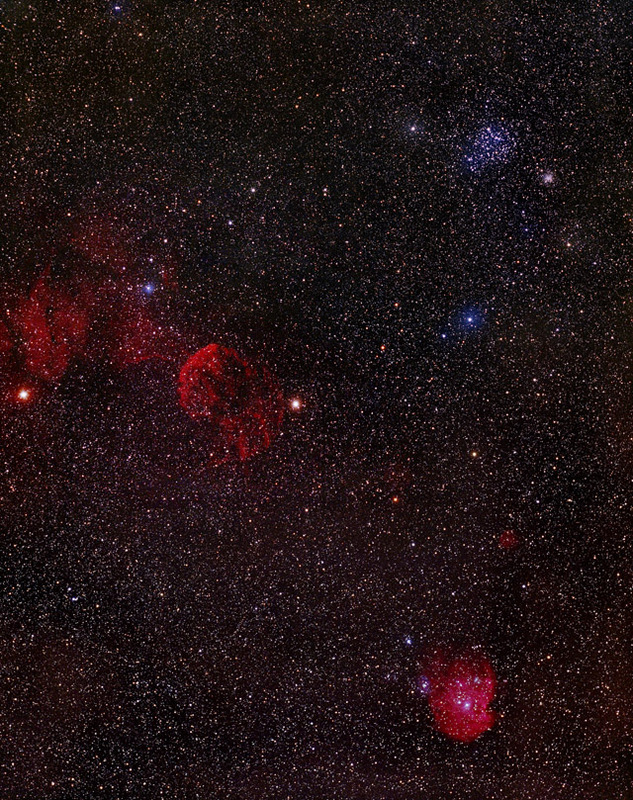 IC 443 (a supernova remnant) is the red "jellyfish" just to the left of center. IC 444 is the blue halo around the star to the upper left of IC 443. The tiny red puff to the upper right of NGC 2174 is Sharpless 247.